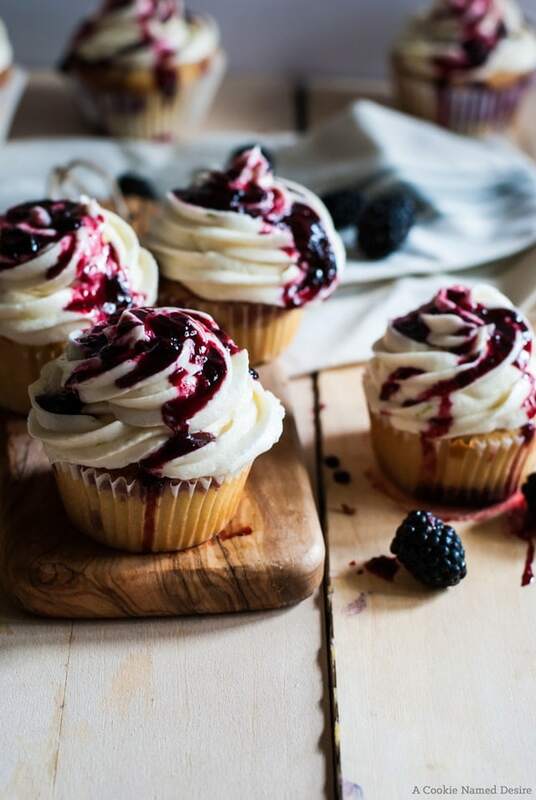 These blackberry lime cupcakes are the epitome of fresh flavor. 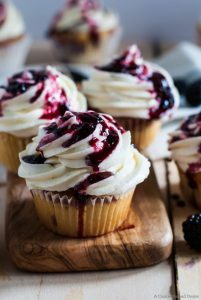 Fresh blackberries are folded into a moist vanilla lime cupcake and topped with a lime buttercream frosting and blackberry sauce drizzle. So I don’t know what the weather is like where you are, but where I am it is insanely hot. According to The Weather Channel it feels like it is 109 outside with humidity, but I swear it is hotter than that. Just sitting down, I can feel pools of sweat begin to form. Even my teeth are sweating!! You see, we have no central air in our house. It is beyond broke (it’s the original system from like, the 70’s) and they need to update the whole system around the house and the estimate we got was about $25,000! So… yeah, that ain’t getting fixed anytime soon. We’ve been surviving with window units in the bedrooms, and fans on the windows downstairs, which suffices most days, but not lately. The only thing pulling me through is knowing that soon I will be in Seattle which gets London hot which I can tolerate without an a/c. For some reason though, I am still crazy enough to turn on both the oven and the stove. I don’t know what’s wrong with me. I must really love you. And also, these cupcakes are freaking delicious and worth suffering through the heat for a little while. 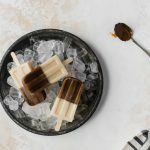 I had these kiwi key lime mojito popsicles to help cool me down while I was baking, so it wasn’t too bad. 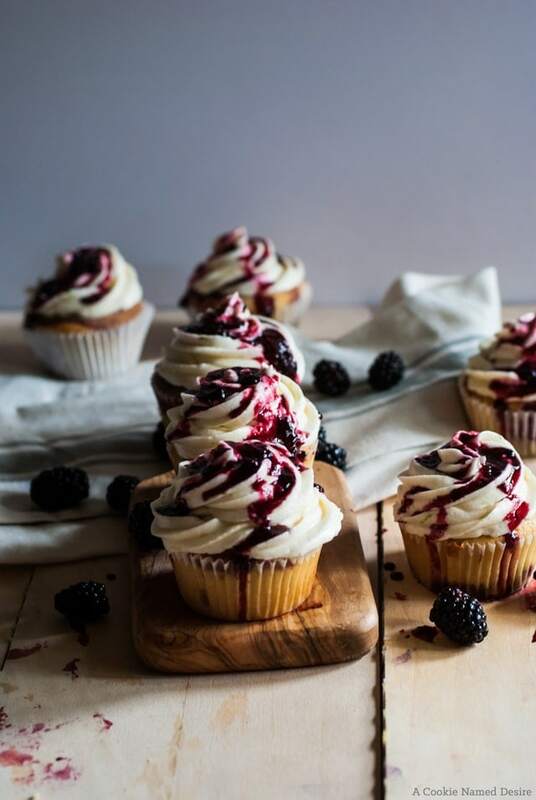 Firstly, let’s talk about these blackberry lime cupcakes. 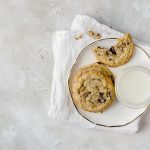 They are light and fluffy and incredibly moist – I used my favorite vanilla cupcake base to make this so you know it will turn out right every time. I added lime zest, then swirled in some homemade quick blackberry jam (or compote or whatever you want to call it) and swirled it in. Just look at how beautiful those swirls look when it is baked? You almost don’t want to cover it with frosting. Except…. 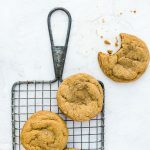 the frosting is so creamy and has a wonderfully balanced lime flavor. I used a quick and easy buttercream because why spend more time making something more complicated in this heat. This means faster nomming time and that is always a good thing. The cupcakes are them topped with a bit of thinned out blackberry jam. 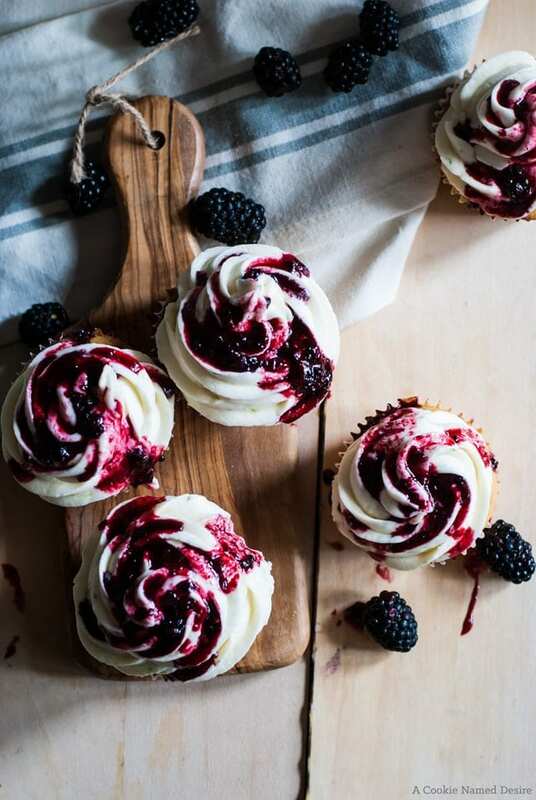 Go make yourself these blackberry lime cupcakes now! Cause these cupcakes are what happiness and summertime are all about. In a mixer, beat together the butter and sugar until light and fluffy. Beat in the zest and extract and the eggs one at a time, mixing well between each egg and beating for one additional minute after the last egg. Bake for about 17 - 20 minutes, or until a light golden brown and the tops spring back when gently pressed upon. Take out the oven and allow to cool completely. Beat the butter until smooth and cream. Beat in the powdered sugar one cup at a time. Mic in the remaining ingredients and beat well. These cupcakes look awesome, so beautiful, intense and delicious. Hope you get a break from the crazy temperatures soon! Thank you so much! I cannot wait for Fall!! How delicious are these Amanda!!!! Gorgeous cupcakes and photos. My mouth is watering. Wow, these look divine! 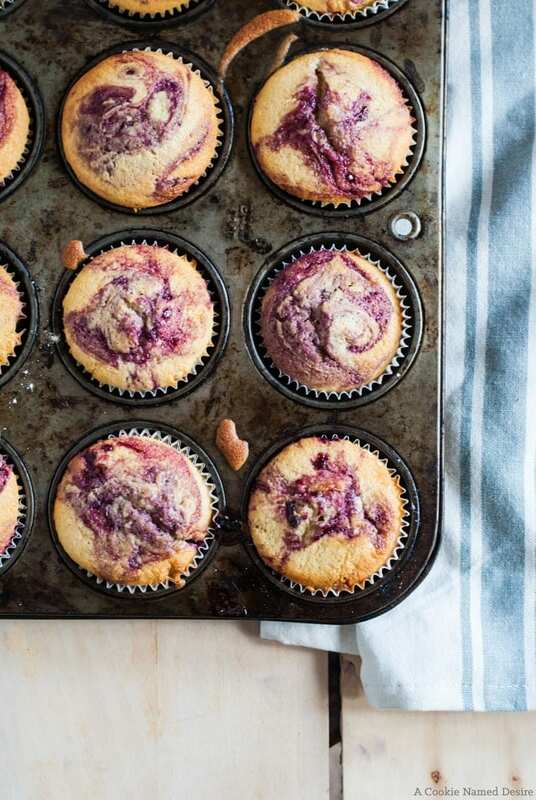 They totally are worth suffering through the heat to bake these. I love that you made a slightly tart buttercream to go with the cupcake – yum!!! The tartness really helps to balance the sweet blackberries. I can’t get enough of them! Those look SO mouthwatering good…I want one right now! Gorgeous pictures! Pinning! More than the heat, THE HUMIDITY. I don’t know how we’re living through this. It’s awful! I’ve still been turning on my oven, too, though. Hey, a girl needs her cupcakes! These look fabulous. Worth the sweat.